We got in touch with Mariel Ponce Papahiu of Kacaou Farms to learn more about this idyllic origin and what makes it unique. Together with her mother and siblings, Mariel is actively preserving both her family’s legacy in the cacao/chocolate industry as well as her country’s cultural heritage. After all, the indigenous Maya communities of what is now Guatemala were some of the first consumers and devotees of cacao. How did you come to work in the cacao industry? My dad had a farm twenty-five years ago in Rio Dulce in Guatemala which is about a four hour drive from Guatemala City. He used to work there but after he died there, we just left the farm and we couldn’t go back for about 20 years. Six years ago my mom decided to start producing cacao. Her grandfather started the first chocolate factory in Guatemala so she had some familiarity with it. Once she started producing cacao, I got involved. I decided to leave my full-time role as Marketing Manager of Empire Promotions and focus on scaling this new project. What’s your background? 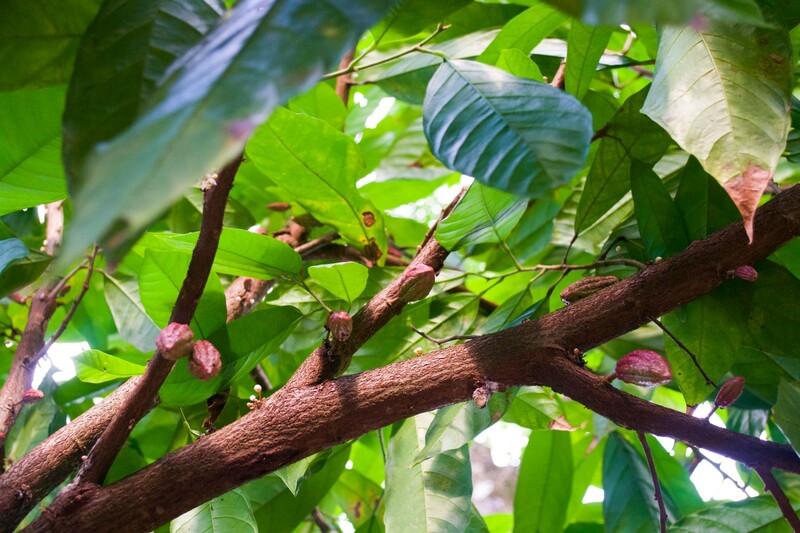 What did you do before you started working with cacao? We have a family business in events, concerts & festivals which I’m still working on. We do concerts in Guatemala and we started the first music festival in Guatemala that’s bigger than 10,000 people. My brother started working on it ten years ago when it was mostly electronic music but now we also have rock and reggae. We have the whole music community in one place. 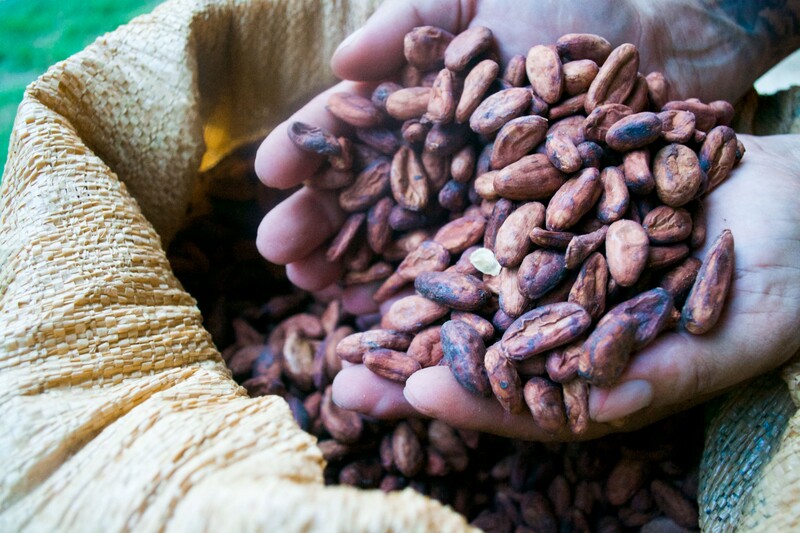 What inspired you to make the switch over to working on cacao? First of all, the place where our farm is located is absolutely beautiful. 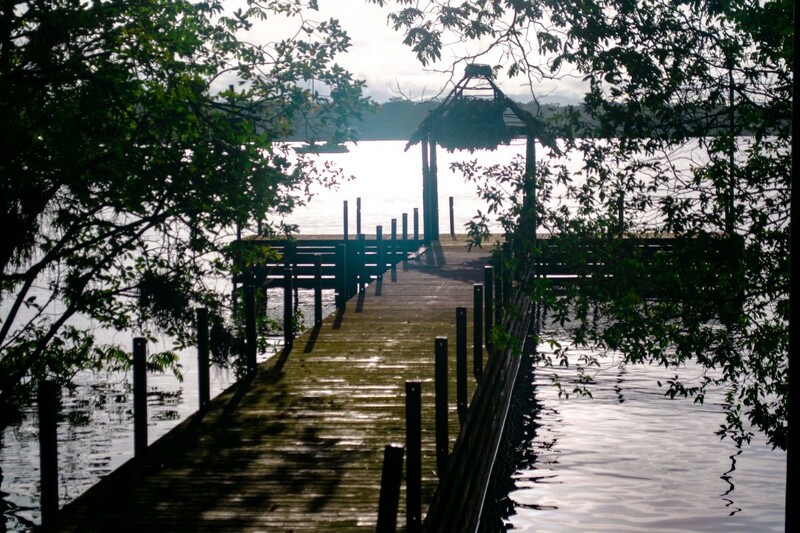 It’s on the Rio Dulce which translates to “sweet river.” There’s lot of forest and virgin land. The land is actually legally protected so you can’t cut trees, you can only do things that contribute to the landscape. So that’s why we started working on a product that will not harm the environment but instead lets us contribute to the ecosystem. Also, we wanted to contribute to the community around there, to create jobs with good labor conditions that could really help that place grow. It’s a really beautiful place and we wanted to help it develop more. What’s special about your beans, your farm, your story? I think it’s both. 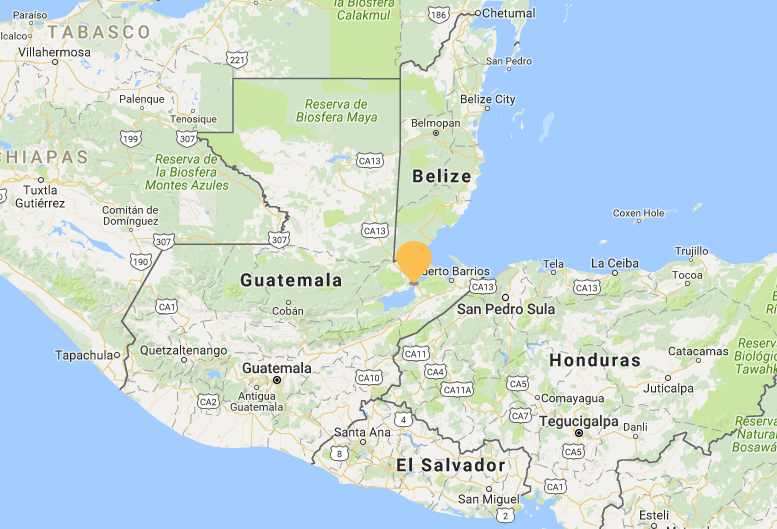 The geographic limitations that cacao cultivation has makes Guatemala one of the few countries that can produce fine cacao. The beans are a Trinitario Mayan Red original cultivar. It’s very fine cacao and it’s grown on a very beautiful farm alongside a river. You feel really peaceful there. Some day we want to bring tourists here to give them tours of the farm and give them the experience of staying on a cacao plantation. 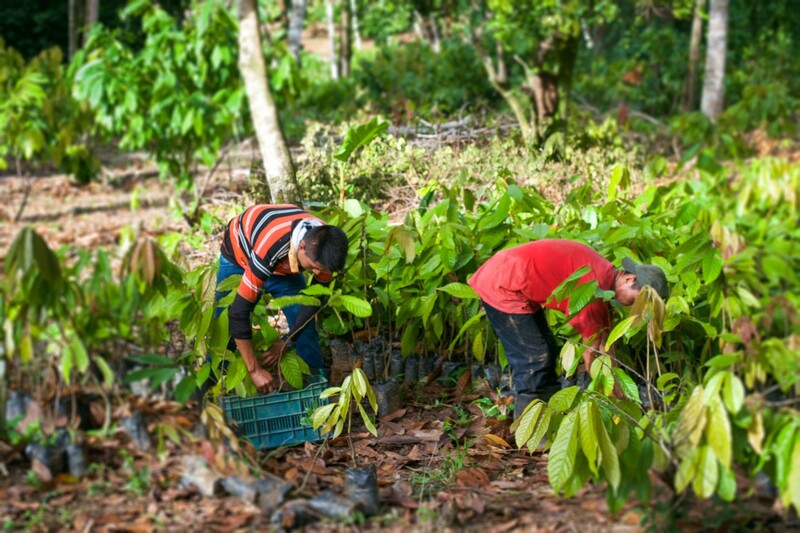 What are the social and ecological impacts of growing cacao in your area? We help create jobs for the community. Most of the people around the area have farming experience and if we grow as a company in the marketplace, we grow their job opportunities. 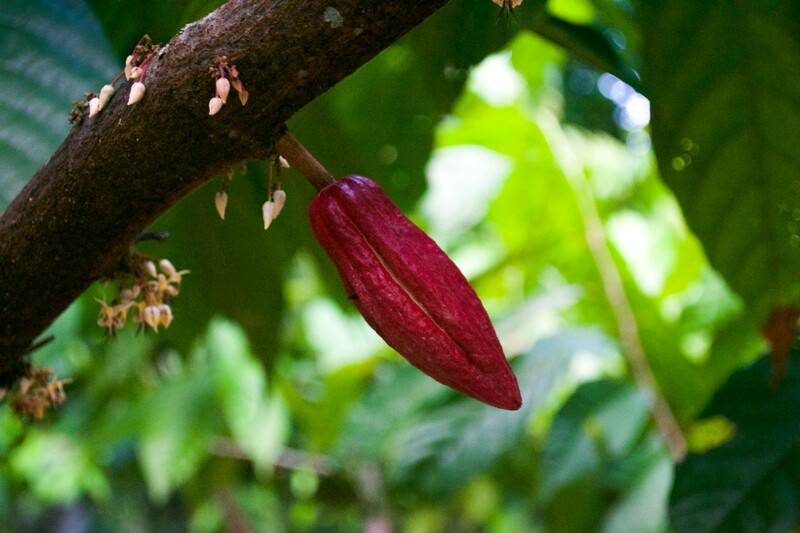 We also live in a country where agriculture is one of the main economic sources and cacao is part of the chain. 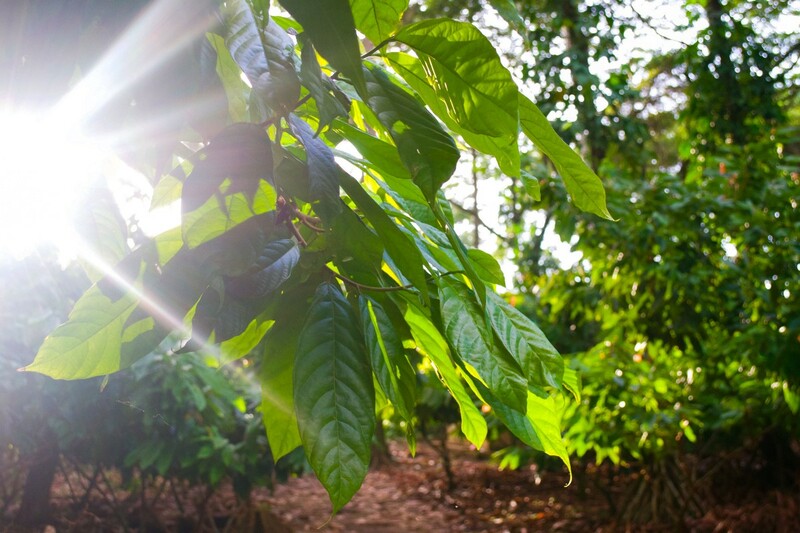 We are based on a protected area and cacao cultivation needs good shade to thrive, so the cultivation of other crops allows it to be a biodiverse area. What is your relationship with producers? What is your role in operations? I don’t go to the farm everyday because it’s hours from Guatemala City which is where I live. Most of my time is spent on distribution, marketing and seeking potential buyers, the commercial department. We have a partner that lives there so he’s the one that takes care of the plants — he’s the farm administrator. I usually go to the farm once every one to two months just make sure things are going well and to take the beans back. My mom and I and another helper roast them here in the city. I really value transparency, consistency, and being ethical above all — it’s something that has always been a huge part of my life. I also believe in superfoods and that what you eat is what you’re going to feel. So we don’t add preservatives or anything that’s not natural. Basically I want to make sure cacao is seen as a really good choice of healthy food — it’s good for you health, your body, your wellness in general. It’s a lifestyle, you know? A superfoods lifestyle. What are your goals in regards to improving farmer livelihoods or the environment? As we continue to grow, our goal is to provide our farmers and their family the opportunity in education. We believe that the best way a country can develop is through good education and that implementing good educational programs of any kind will help them progress in different aspects of their lives. This becomes a chain in which they will know better how to take care of the place and the environment they live, and the effects it has if they don’t. What are the difficulties you face in your work? Well like I told you, the farm wasn’t touched for 20 years so it was very infertile. We’ve been putting in a lot of extra work to make it fertile again. So that’s kind of a struggle for us right now. We try not to use any chemicals — we did use some when we first came back to the plantation 5 years ago but now it’s purely organic. And that’s another challenge for us — since we used those chemicals the organic certification is taking longer. What kind of progress have you made in the last 4 years? The greatest achievement has been reduced to almost 100% use of chemical fertilizers. Although it has been difficult because we didn’t touch the land for nearly 20 years, for 3 consecutive years we have been able to maintain almost chemical free crops. What do farmers love most about working with Kacaou? We regularly recognize their good work by giving them paid free time or allowances. They are happy with the deal and labor conditions they have with us. And that not only do we support them but also their families. 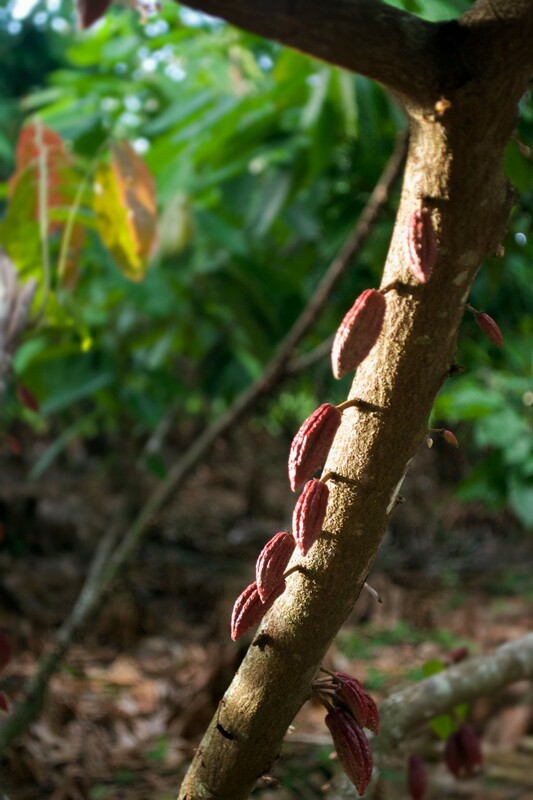 If you had a magic wand, what would be the first thing you would do to improve the cacao supply chain? I think it starts with labor conditions on farms. I think people take advantage of the people working on farms and that it becomes a cycle if the people who work there have to steal the fruit or beans because they aren’t getting living wages. So I would start there. 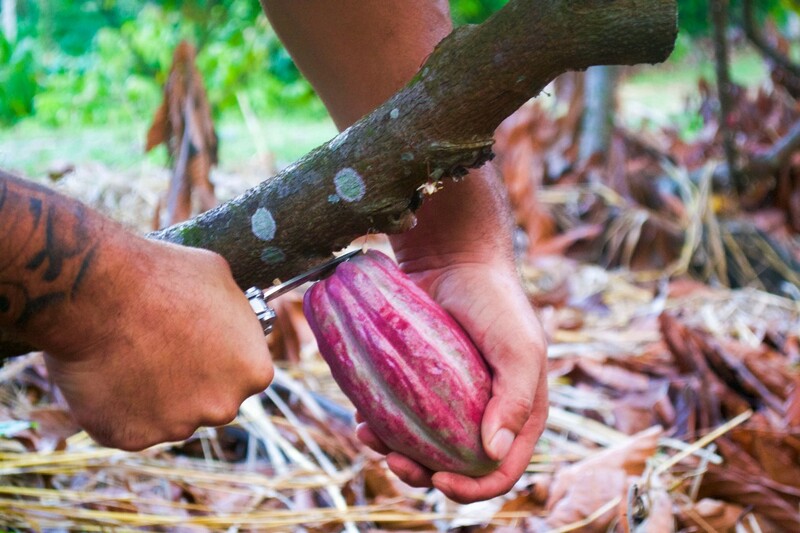 Basically all cacao farms are in developing nations so that’s the reality in the working fields, it can be really bad. 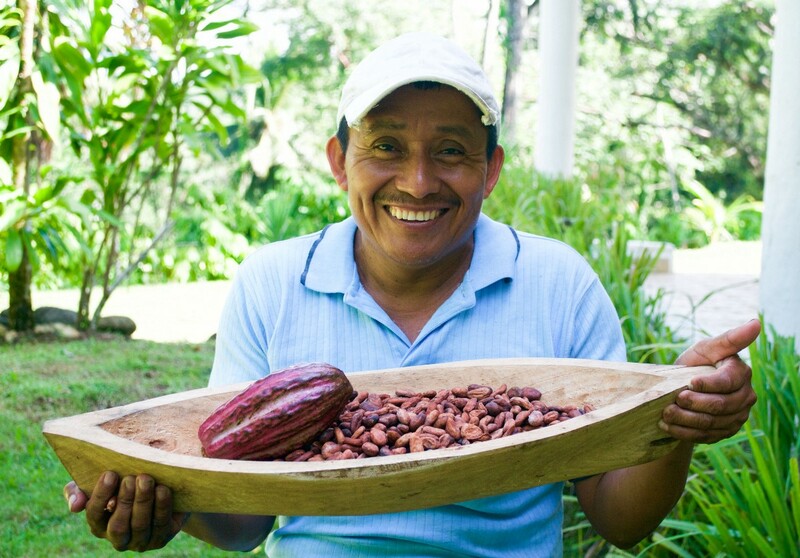 How does cacao fit within Guatemala’s coffee culture? The chocolate culture is not as strong as the coffee culture here. And it’s funny because chocolate is originally from our region, from Mayan civilization but we lost it through time. If you compare it to coffee we still have a looot to work on, but I think the fine cacao industry is growing and so is the culture. Who would be your ideal buyers of your product? 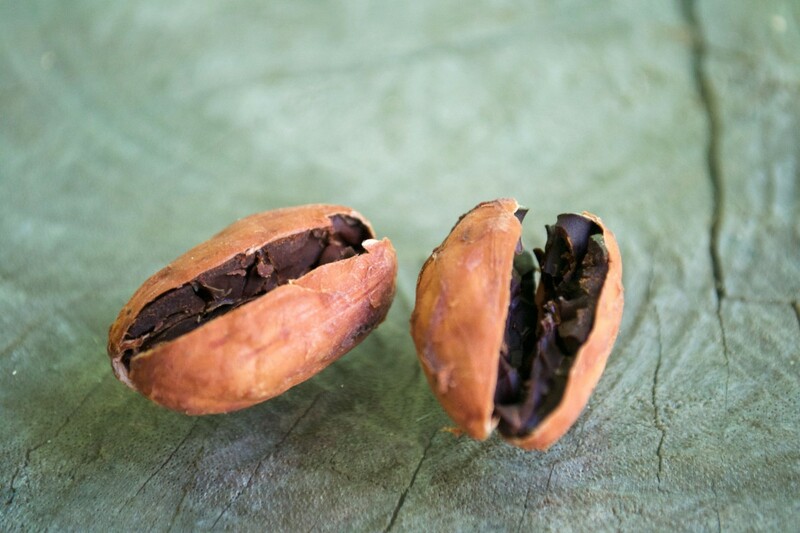 We have the bulk beans which we want to sell to chocolatiers and then the nibs and powder which are for consumers that look for that wellness lifestyle and make healthy choices for their daily food. We also want to sell to other gourmet retailers like juice bars, restaurants and chefs that want to be creative with their food because you can use cacao in savory things as well. 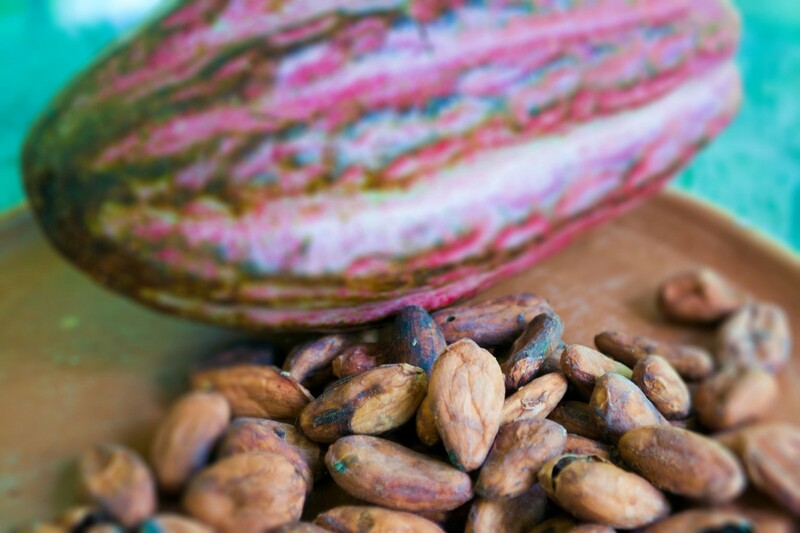 What’s your favorite way to eat cacao? Oh, I love nibs! My favorite thing for breakfast is yogurt with banana, honey and cacao nibs. I also put cacao nibs in smoothies. 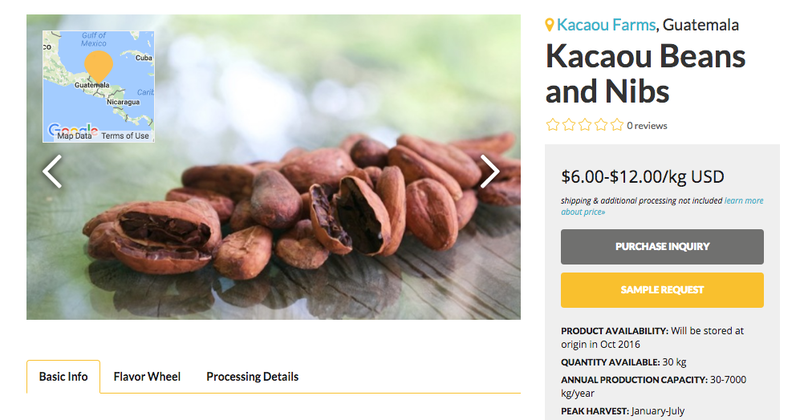 Learn more about Kacaou Farms on their Yellow Seed origin page & about their beans on their product page. A conscious trade network where cacao farmers, buyers and other members work together to support equity, ecological conservation and community resilience. Many brilliant people in our food system are fostering equity, ecological conservation and community resilience, while their stories go unheard. By making these stories visible, we aim to elevate awareness of the good work being done and inspire the commitment to doing better.